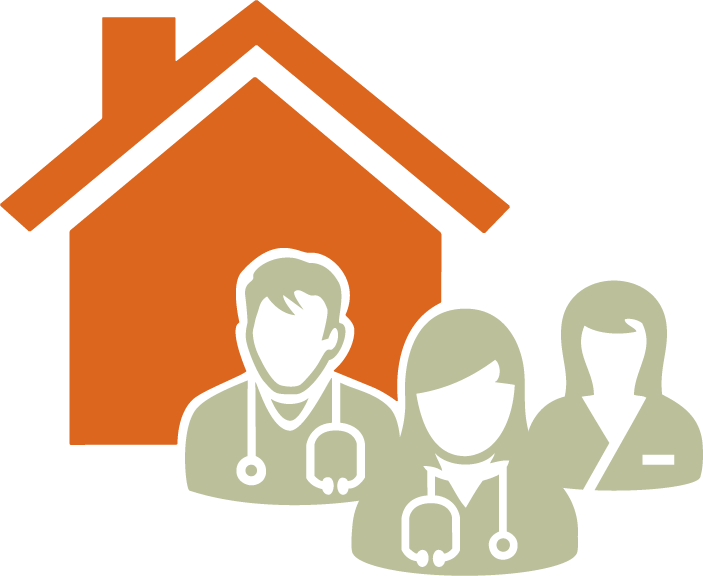 The GPSC incentives continue to change in response to physician feedback collected during the visioning consultations, and to support the strategic objectives of the patient medical home model. The majority of the changes came into effect as of October 1, 2017. Additional changes to GPSC incentives will come into effect as of January 1, 2018. When submitting claims for G14070 and G14071, the name associated with the PHN# was “Attachment Participation”. Effective January 1, 2018: When submitting claims for G14070 and G14071, the name associated with the PHN# will be changed to “GPSC Portal”. Fees compensated GPs for conferencing with college-certified allied care providers (ACPs) to improve patient care and continuity. Effective January 1, 2018: Fees no longer available. Conferencing with ACPs may be compensated through use of G14077. For other GPSC fees that support conferencing please see the FAQs. One of the two required visits must be in-person with the FP and one may be a group medical visit or by telephone with the FP or nurse (G14079 and G14076 may have been delegated). Effective October 1, 2017: Allow a telephone or in-person visit with a College Certified AHP to qualify as one of the two required visits. *new* Effective October 1, 2017: Allow a college certified allied care provider (ACP) to provide one of the visits required for GPSC chronic disease management. Submission of this $0.00 fee by the family physician indicates a in-person visit was provided by a college certified allied care provider working within the family physician's practice where the family physician has accepted responsibility for the provision of that care. Varied requirements for whether a same day visit service must or may be billed on the same day as the planning incentives. Effective October 1, 2017: Allow the option for a same day visit service to be billed on the same day as the planning visit fee for any reason. Varied requirements for whether the 30-minute total planning time must take place all on one day. Effective October 1, 2017: Allow for the required 30-minute planning time to not all have to take place on one day and enable appropriate non-face-to-face planning tasks to be undertaken by a college certified care provider working within the physician practice. Varied requirements for whether all or majority of the 30-minute planning time must be face-to-face. Effective October 1, 2017: Require the majority of the 30 minutes to be face-to-face across all planning incentives. Fees did not allow delivery by videoconferencing Effective October 1, 2017: Allow delivery by videoconferencing to align with the current MSP counselling visits. Restricted to patients for whom a GPSC planning fee has been billed. Can be delegated to AHPs, including MOAs. Effective October 1, 2017: Fee no longer available. Physicians who submitted G14070 can bill G14076 GP-Patient Telephone Management for a clinicial telephone discussion with any of their patients. Value was $15. Effective October 1, 2017: Increase the value to $20 to better reflect relativity to a base office visit. Effective October 1, 2017: Allow for GP-patient/text/telephone medical advice relay, applicable to all patients and delegable to ACPs, including MOAs. The new G14078 at $7 better aligns with comparable Fee for Service INR fee G00043 (value of $6.83). Labeled “attachment” fee codes to support A GP for Me. Effective October 1, 2017: Deletion of “attachment” from the fee code names as A GP for Me has completed. Effective October 1, 2017: Rename Attachment Complex Care Management G14075 to GP Frailty Complex Care Planning and Management. Effective October 1, 2017: Rename Attachment Telephone Management G14076 to GP-Patient Telephone Management. Effective October 1, 2017: Rename the GP Attachment Participation Portal G14070/71 to GPSC Portal. For information about fees that are accessible through participation in the portal please see the FAQs. Compensated for the time, intensity and complexity of integrating a new patient with high needs into a family physician’s practice. Effective October 1, 2017: Fee no longer available. For other GPSC incentive fees that support the care of complex patients, please see the FAQs. Payable to a GP with specialty training for urgent communication regarding assessment and management of a patient. Only eligible for requests initiated by a specialist or a GP. Effective July 1, 2017: Expanded eligibility for fee G14021 to include requests for urgent telephone advice initiated by an college-certified allied care provider (ACP). Paid $20/15 minutes or portion thereof. Effective July 1, 2017: Alignment of G14023 and G14076, making both worth $20; deletion of the per 15 minute component. To download the table, click here. The GPSC incentives continue to change to support physicians in practice to improve access to care and services for their patients. Fees will be continue to be simplified, aligned, and modified to enable team-based care, and some fees initially connected to the time-limited A GP for Me initiative have been transitioned. Throughout these changes, the overall budget for GPSC incentives remains the same. For a summary of these changes, please refer to the FAQs. After receiving a final extension from the GPSC, as of October 1, 2017, the Unattached Complex/High Needs Patient Attachment Fee (G14074) is no longer available. This fee was provided to family physicians during the A GP for Me initiative, which began on April 1, 2013 and ended March 31, 2016. The GPSC extended the incentive initially to support the duration of A GP for Me and then to support the transition period following the initiative’s end. The committee could not further extend the incentive beyond September 30, 2017, as the one-time funding was expended. The GPSC has several incentives to support the care of complex patients in a family physician's practice. These fall into two categories: incentives to support the time to work with a patient to plan for their care needs and incentives for communications and conferencing. Physicians providing care for complex patients can continue to bill the other three fees that originated in the attachment suite: G14075 Frailty Complex Care Management; G14076 Telephone Management; and G14077 Patient Conferencing. The word “attachment” is no longer in the names of the fees that originated in the attachment suite so that they are applicable to support complex care in general. These changes were not made in isolation. The GPSC is working on long-term changes to its incentive fees that will support physicians along their patient medical home journey. The GPSC will continue to consult and engage with physicians about how the incentive program can best support physicians to care for vulnerable patients. Ultimately, these changes will support physicians to provide patients with the right care in the right place at the right time. For questions about GPSC incentives, please visit the billing guides webpage or email gpsc@doctorsofbc.ca. Why is the GPSC making changes to its fees? In response to physicians’ feedback during the GPSC visioning consultations and to support the committee’s strategic objectives with the patient medical home model, the GPSC is working to simplify and align similar fees so that billing rules are consistent and easier to understand; to better support team-based care by enabling allied health professionals to provide some aspects of care in a family practice; and, to transition fees, as appropriate, that were initially connected to the time-limited A GP for Me initiative. What are the changes to the GPSC incentives? See the table above for detailed changes. What are the changes that relate to the fees initially created to support the A GP for Me initiative? Effective October 1, 2017, the GPSC’s Unattached Complex/High Needs Patient Attachment Fee (G14074) is no longer available. This fee was provided to family physicians during the A GP for Me initiative, which began on April 1, 2013 and ended March 31, 2016. Fee G14074 was funded from one-time money and as a result was always a time-limited incentive. The GPSC extended the incentive initially to support the duration of A GP for Me and then to support the transition period following the initiative’s end. The committee could not further extend the incentive beyond September 30, 2017, as the one-time funding has been expended. Physicians providing care for complex patients are encouraged to continue to bill the other fees that originated in the attachment suite: G14075 Frailty Complex Care Management; G14076 Telephone Management; and G14077 Patient Conferencing. You may note that the word “attachment” is no longer in the name of the fee code. This reflects that these fees – initially piloted during the A GP for Me initiative – are being continued because of their relevancy in supporting longitudinal care, which has always been an objective of the GPSC’s Incentive Program. Does the ending of fee G14074 mean there is less physician money funded by the GPSC for incentives? It is important to note that the overall budget, itself, for GPSC incentives remains the same. Is there a similar fee to G14074 that I can use? There is no separate fee for taking on new patients. When taking in a new patient – provided there is a medically necessary component to the visit, in addition to setting up the chart and reviewing pertinent history – then an office visit is billable to MSP. How can physicians continue to bill for complex patients? Incentives to support the time to work with a patient to plan for their care needs include: Complex Care Planning Incentives (G14033/G14075); Mental Health Planning Incentive (G14043); Palliative Planning Incentive (G14063). Chronic Disease Management Incentives are also available. Click here for specific billing guides and details. Incentives for communication and conferencing include telephone management for patients (G14076); and Conferencing with other Allied Care Providers (G14077) for those who have submitted G14070/71. Click here to refer to the GPSC Telephone and Advice and Conferencing Billing Guide for details. Click here to refer to the GPSC Telephone Advice and Conferencing Billing Guide for details. Has there been a shift in GPSC’s prioritizing of complex patients? The GPSC continues to prioritize complex patients. In the move toward the patient medical home, doctors will have stronger connections to team-based support and community-based care for patients, especially those with complex needs like the frail elderly, and patients with mental health needs. The GPSC is committed to supporting physicians as they meet the needs of vulnerable patients. The Incentive Program is a core part of that by compensating family doctors to provide longitudinal, comprehensive care to all patients. Is the GPSC no longer interested in supporting attachment? One of the main goals of the patient medical home is to support capacity and access to primary care, which supports attachment. In addition, incentive fees specific to supporting attachment will be one of the things considered in the overall design of long-term changes to the incentive programs. Physicians are being consulted in the design of these changes. Why is the urgent telephone advice fee changing? The GPSC discussed differences in provider requirements for its fees for GPs with Specialty Training (G14021 and G14022). Prior to July 1, 2017, the fee code G14021, could only be initiated by another physician; the second fee code, G14022, could be initiated by either a physician or allied care provider. In order to simplify and align fee requirements and to support team-based care, the committee agreed to expand the eligibility for fee G14021 to include urgent telephone advice initiated by an allied care provider. This change was effective July 1, 2017. What conferencing fees are available to doctors? In response to physician feedback, the GPSC has simplified its conferencing fees. Effective January 1, 2018, GPSC fees G14015, G14016 and G14017 will end as they have effectively been replaced by GP-Allied Care Provider Conference (G14077). As well, physicians working with allied care providers may continue to also use the following incentives: Urgent Telephone Conference with a Specialist or GP with Specialty Training (G14018), Urgent Telephone Conference with a Specialist or GP with Specialty Training (G14019), GP with Specialty Training Telephone Advice for Patient Management (G14021), and GP with Specialty Training Telephone Advice for Patient Management (G14022). Click here to refer to the conferencing billing guide. What does billing the G14070 GPSC Portal Code do for me? I haven’t billed G14070 before. What are the requirements to submit it? You are providing full-service family practice services to your patients, and will continue to do so for the duration of that calendar year. You are confirming your doctor-patient relationship with your existing patients through a standardized conversation or ‘compact’. Effective January 1, 2018, to align with the new portal name, there will be a change to the “patient” demographics for submission of G14070. Starting January 1, 2018, when billing G14070 or G14071, please submit Patient Surname as Portal and First Name as GPSC. Are there more changes coming to the incentive program? The GPSC acknowledges the importance of incentives in supporting practice-level changes as part of practices' transition to the patient medical homes. The GPSC is reviewing ways to support ongoing panel management; to support a tiered approach to attachment; to expand access to complex care planning and CDM fees; and to review other ways doctors may receive GPSC incentive payments (e.g. block payment consideration for patient medical homes). All potential new incentives will be assessed for viability. As part of its review process, the physician compensation session at the 2017 Spring Summit was an opportunity for the committee to further hear from doctors about ways to continue to develop its incentive program. 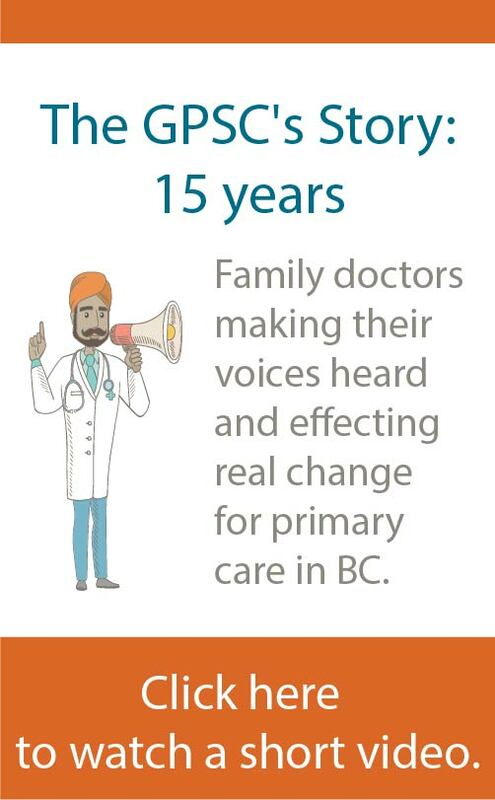 Family doctors told the GPSC through the 2015 visioning consultations that fees overall have been key to encouraging them to join and remain as full-service family physicians. In November 2017, the GPSC held a meeting with GPs, Divisions, Health Authority and Ministry of Health partners to gain feedback on specific ideas to support team-based care and networks through incentives. Additional physician consultations will be planned. An informational webinar about the October 1st incentive changes can be accessed on the GPSC website here. To view the webinar slide deck, click here. I have more questions. Who can I talk with about this?